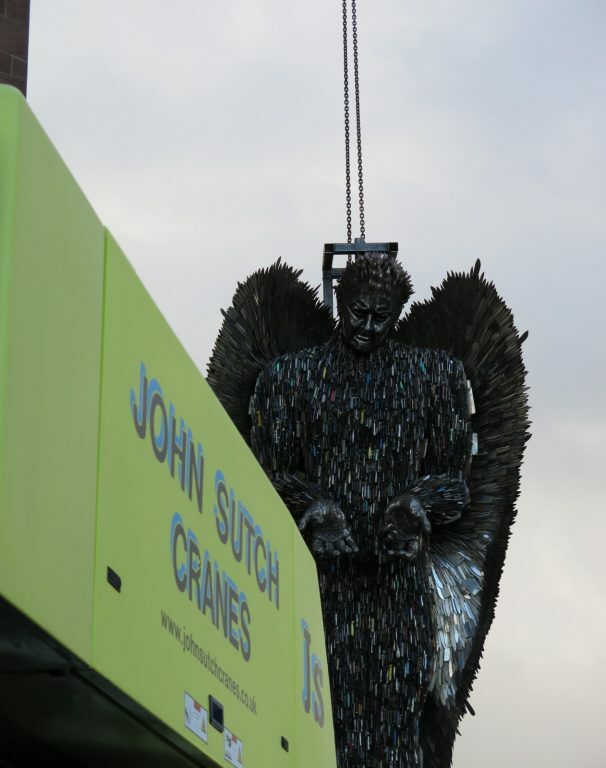 The Knife Angel is a 27-foot-high sculpture created from 100,000 knives collected during nationwide amnesties in 2015 and 2016. 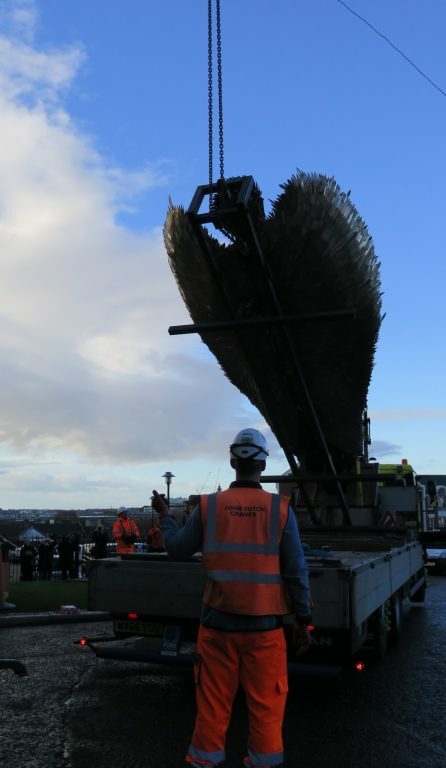 Alfie Bradley, the creator of the hard-hitting sculpture took a year and a half to build and it has been housed at the British Ironwork Centre in Oswestry for the past two years. 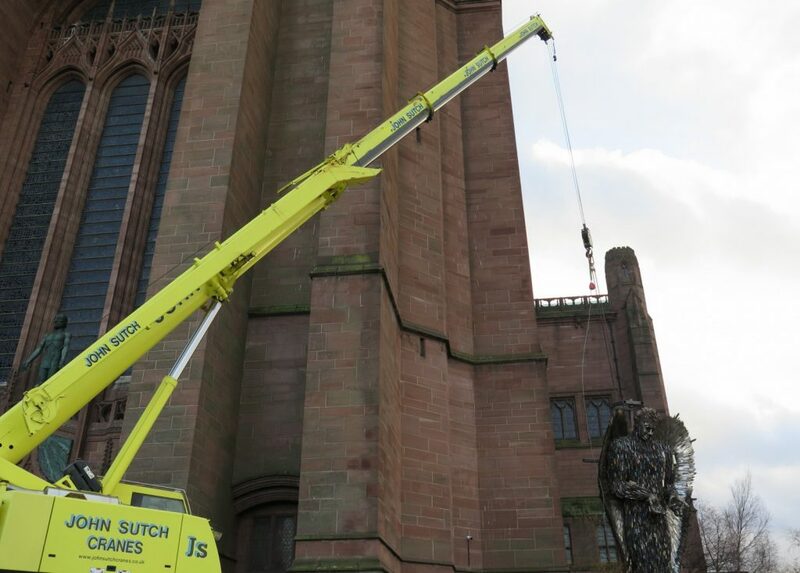 As a company that has spent the last 27 years based in Liverpool, it is an honour to be involved in the project to transport and lift the Knife Angel into place at the Liverpool Anglican Cathedral. Knife crime affects many people all over the country, but knife crime has risen in the city of Liverpool to its highest level in the past 10 years. The #NoMoreKnives campaign is active and the sculpture further cements the city’s action against knife crime. To be able to complete this unique job, we utilised our Liebherr LTF1045-3.1 and MAN Tractor Hiab Unit for both lifts in Oswestry and Liverpool. 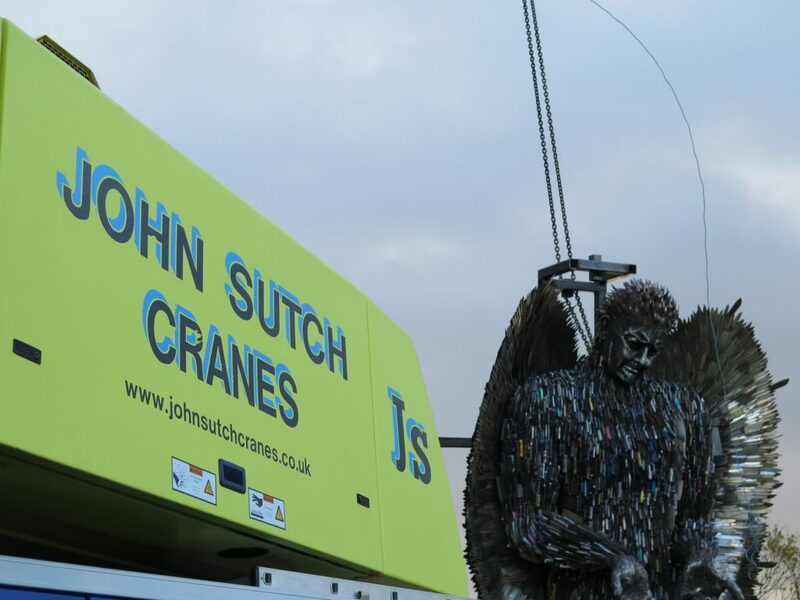 “It is a privilege to be involved in this unique project that highlights the devastating effects knife crime has” John Sutch Managing Director.